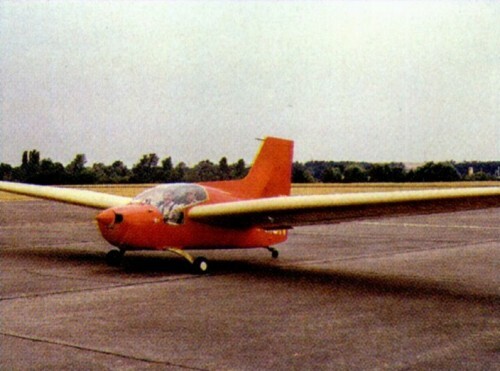 The Fauvel AV 221 is 356.7 KB. Larger files take longer to load. This is the Fauvel AV 221 listing page, here you can download the plan, article and see the main thumbnail and extra images. These are the details for the "Fauvel AV 221" plan. If you would like to become a plan editor and help us to edit the attributes of all the plans in the website please click the "Edit Attributes" button below. 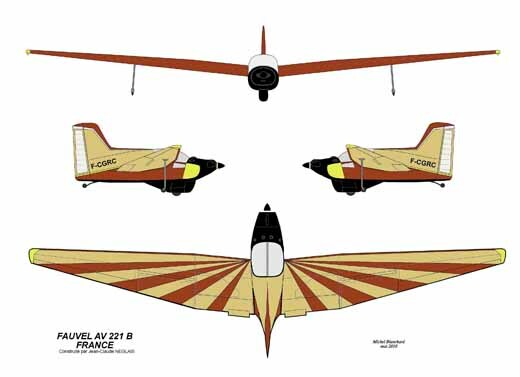 Order your Fauvel AV 221 prints today! The Fauvel AV 221 plan can be printed on plain paper, tracing paper or polyester film and shipped worldwide. Scale: The original wingspan for this model is 108.3 in. / 275 cm. Please Change the values below to order in a different wingspan. This tool allows you to calculate the cost of printing and shipping the Fauvel AV 221 plans and its building article if available. 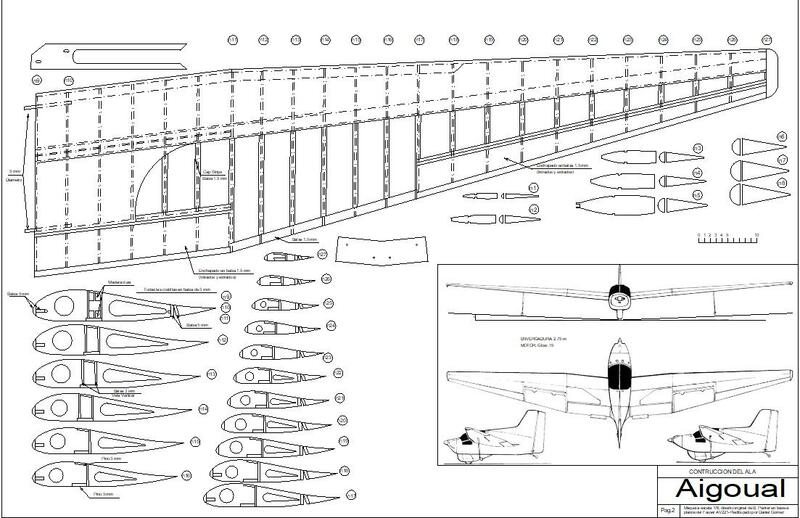 If you need to resize a plan please contact us with the ID:99664 and the desired wingspan. I will calculate a price upon request, please contact me here mentioning this PlanID: 99664 and the job you wish me to do. Neither of my CAD programs (TurboCAD or Design CAD) will open this file. Its the same in the preview tool. My cad program will open the file ok, but it is completely unscaled, would have to re scale it all to print, or will simply get a couple of postage stamps, is there an already scaled version I can just plot? This plans was redraw using DraftSight 2018, and scale is 1 CadUnit = 1mm. 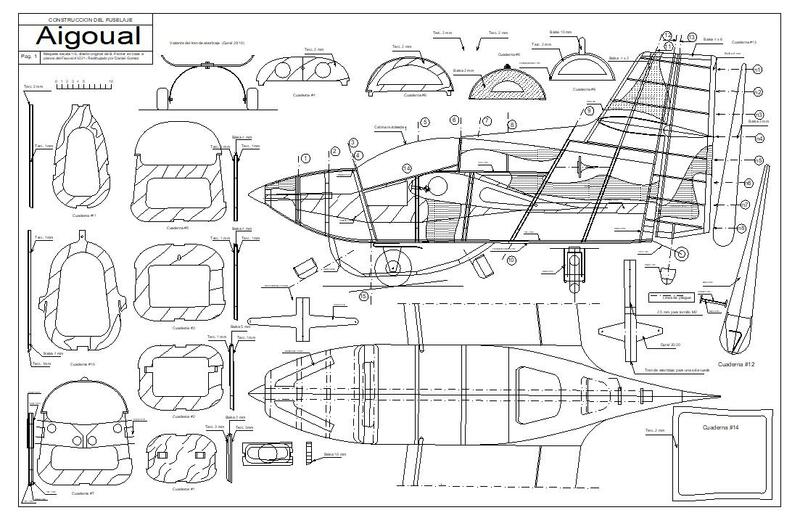 I keep the scale of original plans, no modifications made in scale. This can be checked on those rulers which measures exactly 10 cm . "I also use Draftsight 2018, which opens the drawing but it is set to some tiny scale both pages on about A6, and without the attributes file it would have to be re sized completly, tried to set the boundary to print, but it won't do it, some sort of attribute problem, which it won't allow me to modify, actual height being only 10cm, would appreciate any input"
I guess you have troubles with a characteristic of DraftSight, which can show "sheet " views. I seriously don't know what these views are intented for, but they look very small. Ther's a main view called "modelo" in spanish version, probably "model" in english. This one is the right view you must use for printing. This plan is 356.7 KB and was shared by our member baco on 31/10/2017 04:33 in the PDF Vector Wood Model Airplane Plans category. It has been downloaded 706 times. baco has spent time working on this plan so you can have it now, you can always leave him an appreciation message. baco will surely like to see what you have build from his plans... You can share your builds at our Forum under the Build Logs section.